Remember those good old days when you used to jot important stuff onto sticky notes and plaster your desk and monitor with them? While you do miss those days, you also enjoy your new modern, minimalist setup – just a computer on a desk and nary a piece of paper in sight! But you also find yourself forgetting things! Before you reach for that stack of stickies, take a gander at today’s discount software promotion, Notezilla 8! 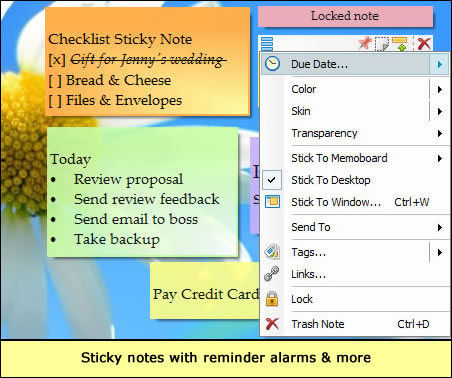 Notezilla 8 lets you create electronic sticky notes that you can put anywhere on your Windows desktop. 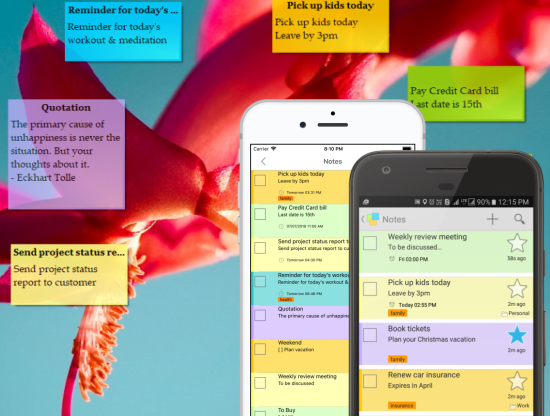 With Notezilla 8, you’ll enjoy the convenience and everywhere-ness of sticky notes, without the actual clutter of real paper to bog you down. How everywhere is everywhere? 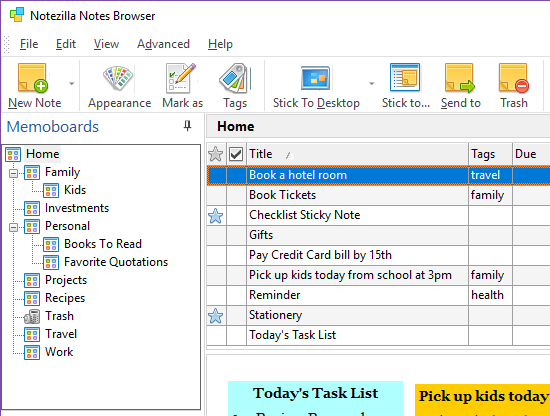 Use Notezilla 8 to attach sticky notes to documents! Folders! Websites! Programs! 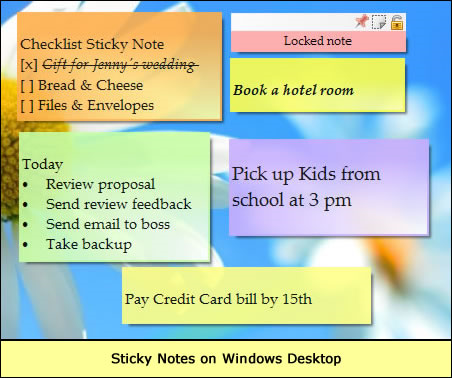 Without even adding an ounce of brain power, your sticky notes will automatically pop up at the exact moment you need them! Bonus features include the ability to use tags and set reminder alarms that are received as email messages. 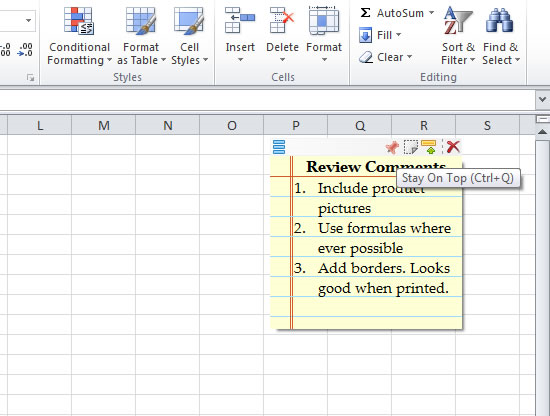 You can even pretty up your notes using attractive skins and formatting features! It gets even better! How? 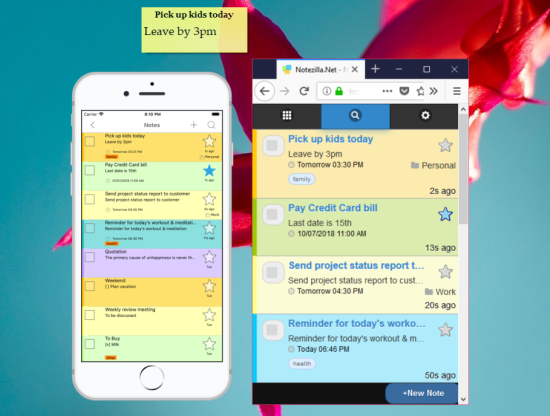 Because you can sync your Notezilla 8 sticky notes through the cloud and access them using any iPhone, Android or Windows Phone! 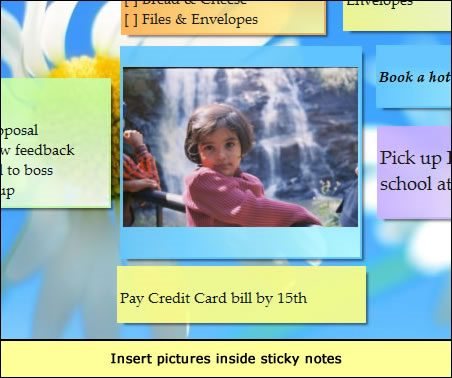 Organized notes into memoboards to reduce clutter on your desktop. You can even use Notezilla 8 to send sticky notes between computers over a LAN or the Internet! Please note folks: today, you can either purchase Notezilla 8 (With Cloud) - ($17.95 first year, $14.95 renewal) which is a subscription based product or you can purchase Notezilla 8 (Without Cloud) - ($17.95) which is one-time payment. 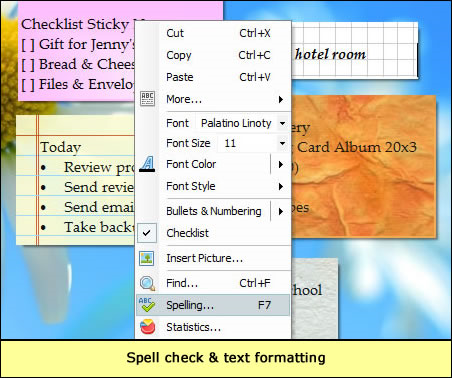 The cloud version allows syncing sticky notes with different computers and smartphones. Where as the non-cloud version does not. The Android app and iPhone app for Notezilla are now both free. For more details please click here! Also, the license you purchase is also valid for the Portable version. After you purchase Notezilla 8 it may be used indefinitely. Notezilla 8 is licensed per user, so if more people are going to use Notezilla 8 you will need to purchase additional copies. Each license allows installation on 2 computers, but Notezilla 8 may not be used at exactly the same time on each of them. Upgrades to future versions of the software will be free for minor versions only. Support is provided for this version and any minor versions that are released later. bvssunnydale My two bits - This is an excellent program with high utility (I use for reminders & recommend to all my friends). The aesthetics (seem to me to be) a bit dated but it's excellent value for the buck (if you don't use it already). JesusInsideMe Hi, is not possible to buy your mentioned $14.95 renewal?, there is no option for :( God bless u, bye. Kelly Hamblin I love my Notezilla notes. And, I like the looks of it, too. Jin User so if i get the $17.95 subscription version, will it just downgrade to a non online version after the 1 year period if i don't renew? or will i cease to have an operating product at that point? thanks. Thanks all for your lovely feedback. JesusInsideMe - If you have already purchased Notezilla, then you can purchase the renewal for $14.95. Please email us at support conceptworld.com . We will send you the coupon code. Jin User - Yes, if you don't renew, you can continue to use Notezilla as a standalone version. The license is valid. Nico Westerdale Great News! Conceptworld Corporation has agreed to extend this deal for another day - Enjoy! - The PCs will belong to different users; I'm happy to purchase one license per user, but is a user allowed to send notes to another user? - Does the standalone product allow sending over LAN, or is the online version needed? Again, I am not interested in sending (or syncing) notes over internet, only locally. Yes, the standalone version can send notes via LAN. Online version is not required. So you can choose the non-cloud version for each user. Jin User thanks very much for the great deal conceptworld! really love it. it's pretty much the thing that i've been looking for! 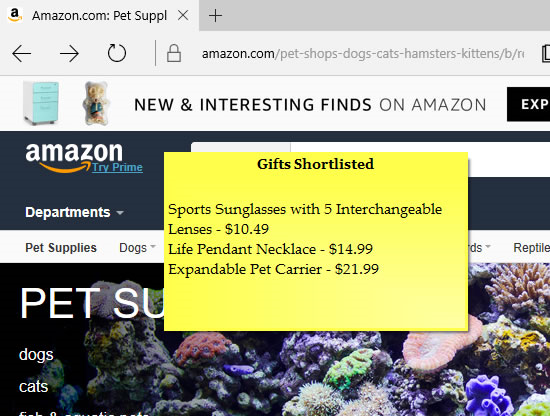 it would be perfect if the sticky notes followed virtual desktops tho - right now, if you have a note on the desktop, it's on ALL virtual desktops. can you guys make it the notes so that it respects virtual desktops? anyway, thank you much! the app is great. Reminders Are Only The Beginning!